VOCALOID4 Library Otomachi Una V4 is the virtual vocal voicebank based on the voice of "Aimi Tanaka", a major voice actress in Japan. VOCALOID4 Library Otomachi Una V4 contains two voicebanks, ""Sugar"" and ""Spicy"". ""Sugar"" has sweet and pretty voice, and ""Spicy"" is dynamic and powerful voice. ""Growl"" is big features of VOCALOID4 are compatible with these voicebanks. You can create expressive music with 140 sample voices of great variety, include17 types of breath data, voices of daily conversation dialogues, countdown numbers, cartoony onomatopoeia, etc. 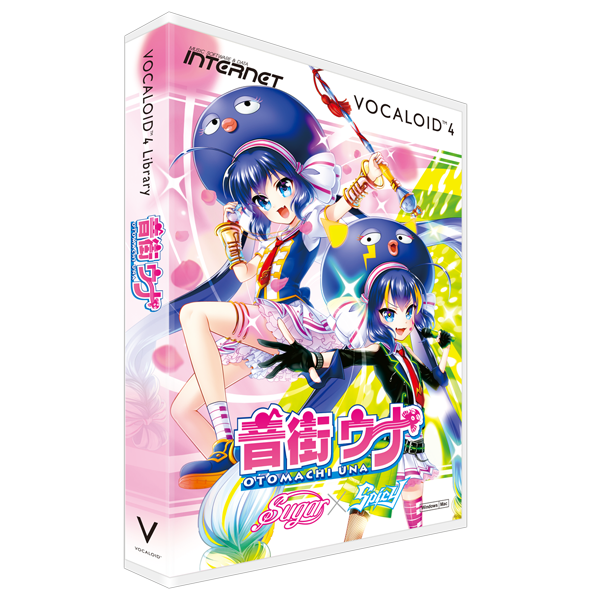 The virtual vocalist "Otomachi Una" is the character of VOCALOID4 Otomachi Una V4. Her first lead role was title character "Umaru Doma" in the 2015 anime television series "Himouto! Umaru-chan". animation works, "UTOPA", "Lance N' Masques" and so on.